Comprehensive Eye Exams are an important part of primary vision care. At Opticanada, we provide comprehensive eye exams for all of our patients who schedule a full exam. Without a thorough examination by your optometrist, the subtle signs of various ocular diseases can be overlooked and can result in vision loss and deterioration of ocular health. As a result of our detailed exams at Opticanada, as well as our state of the art technology, we are able to accurately diagnosis and treat eye disease early thus maintaining your vision and eye health. An eye examination is carried out by an optometrist and usually takes about 20-30 minutes. Sometimes it can take longer if you need extra tests. In addition to testing your sight, the optometrist will check the health of your eyes and look for signs of general health conditions. Your optometrist will also need to know about your general health including any medication you are taking, whether you suffer from headaches, or have any family history of eye problems. Your eyes will be examined both outside and inside. This will allow the optometrist to assess the health of your eyes and may identify any other underlying medical problems.The interior of your eye will be examined using an ophthalmoscope, a special torch which shines a light through the pupil allowing a detailed study of the internal structures. Your pupil reflexes will also be tested. Photos of the retina will be taken. Remember to take your glasses or contact lenses with you when you attend an eye examination. Your vision will be measured both with and without glasses or lenses to check for any problems with your eyesight. The optometrist would normally assess your distance vision (for TV and driving), your near vision (for reading and close work) and your intermediate vision (for computer use).Your optometrist will then carry out a series of tests to measure the type and extent of any problem with your vision. You will then be asked to choose between different lenses to see which ones help the quality and clarity of your sight. 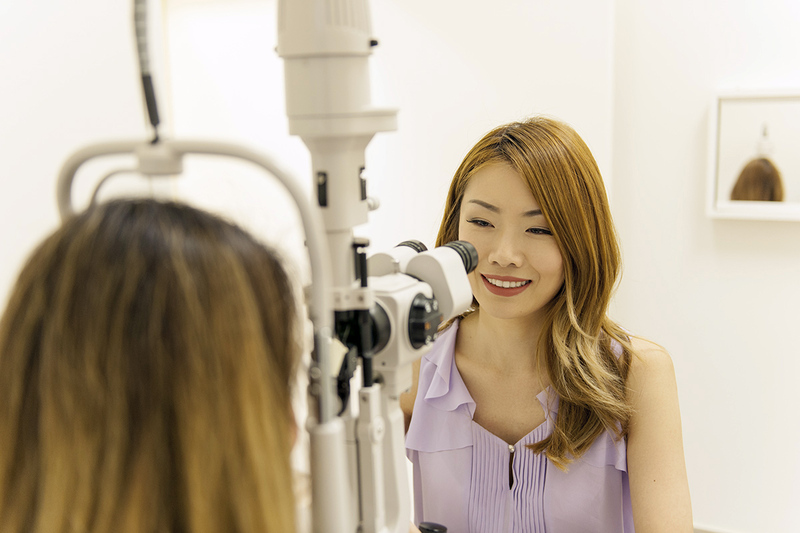 Your optometrist will now have detailed knowledge of the health of your eyes, the standard of your vision and any special requirements that you may have. At the end of the examination you will be advised of when you should have your next examination. You’ll also be given a prescription for glasses or contact lenses. If you need medical treatment for an eye condition you may be referred to a specialist. If you are not satisfied with your glasses or contact lenses make sure that you contact your practice. As part of continuing care and service your optometrist will be happy to adjust or make minor repairs to your glasses where possible. Contact Lenses are an excellent method of vision correction and a great addition to spectacle correction. Contact lenses come in many different sizes and curvatures. From daily disposable to monthly wear lenses, the options are endless. The optometrist fits single vision, toric (correct astigmatism), and multifocal contact lenses. Eye examination fees vary by age group and type of diagnostic testing required. 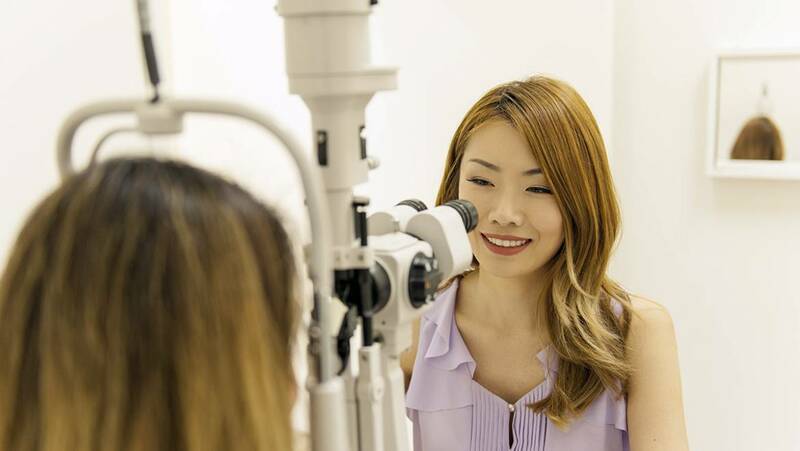 Typically, a comprehensive eye examination for an adult ages 19-64 at our office is $100, and children under the age of 19 are fully covered by BC Medical for exams only with a valid Care Card. BC seniors who are age 65 and above have partial coverage through the BC Medical will be charged $65. Contact lens fitting fee is $50.